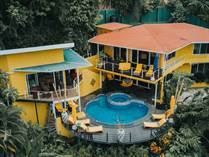 Manuel Antonio is the most visited National Park in all of Costa Rica and has beautiful tropical white sand beaches, luxurious hotels and resorts, gourmet restaurants, and boutique shops. They say Manuel Antonio has more monkeys than people and once you arrive in the park you will see why. The national park is teaming with wild life from Howler, White-Face, and Spider Monkeys, Raccoons, Sloths to Parrots, Toucans, Ant Eaters, and more. The beaches in and around the park are some of the most stunning in the country and the views from the surrounding properties, luxury homes, condos, and hotels are absolutely breathtaking. 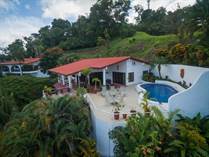 Close to Qupeos and the Pez Vela Marina, plus easy access by car or Quepos Regional Airport. The perfect location for those that want all the amenities while living in absolute paradise. "Stunning home with every upgrade and every feature!" 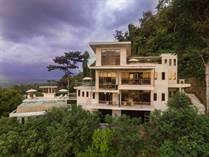 "In one of the most private and secluded areas of Manuel Antonio." 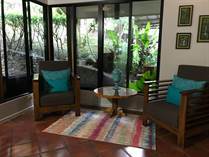 "It is a short walk to the secluded Playa La Macha"
"Great Ocean Views / Rental Income Producer"
"Great Location, Near Manuel Antonio National Park and La Marina Pez Vela! " Lot Size 4329.94 sq. m.
Lot Size 2238 sq. m.
Lot Size 1458 sq. 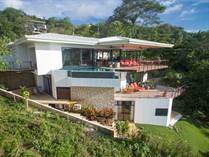 m.
"Luxurious Estate Home with Incredible Manuel Antonio Bay Views"
Lot Size 984 sq. m.
Lot Size 4000 sq. m.